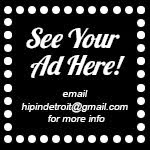 Three years ago when we started HipInDetroit.com we didn't know what we were getting into. We just sort of started it and learned a lot of what we were doing as we were doing it. That is why I can say with 100% certainty that keeping a blog interesting, fun, and going is a lot harder than you might think! Which is why it blows my mind that MOTORCITYBLOG has been doing this for 10 years!!! For $20 you will be considered a VIP for the night. The show takes place Saturday, January 17th at Music Hall Center for the Preforming Arts. Doors are at 5 p.m. and the party goes 'til 2 a.m.
We had a chance to ask Kirk from MCB a few questions about running a successful blog for the last 10 years. We have to say, we have a lot of respect for the team over at MCB. Cool event, cool charity, cool blog. Keep it up! HID- When you started this blog did you think that you would be doing it ten years later? Kirk MCB- "Not by a long shot. Initially the site was a mix of personal blog type posts but over the years MCB has morphed organically regarding both the content and its contributors. At one point I was managing 30+ contributors covering events every night of the week. We have eased back with a core group of contribs who each have their own specialties. Many of our contributors have moved on to start their own creative ventures over the years and give credit to MCB as one of the catalyst’s to their success. I have always threatened to delete the site under my breath but it has yet to meet its demise...maybe after the 10 year party." HID- I'm sure that you have learned a lot over the last ten years. What advice would you give to someone that is just starting a blog? Kirk MCB- "If in the vein of an MCB or HiD, I would say being professional is one of the most important aspects to gaining and keeping contacts who can provide the access to artists or events of interest. Don’t be afraid to ask for what you want and follow through with what you promise to deliver. HID- What is your favorite event or story that you have covered over the last 10 years? Kirk MCB- "Looking back it is hard to believe that starting a silly website could produce so much for so many who are involved with MCB. 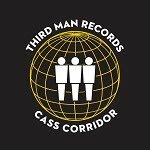 I was invited to be a guest presenter at MENSA’s 50th Anniversary North American Gathering and we were asked to send reporters to cover a week of events leading up to the Rock & Roll Hall of Fame Induction. Shooting video from the stages of DEMF or video interview with Don Was at Concert of Colors. Being chased down the street by Goober of Goober and the Peas before the big comeback show or driving Adam Ant around the city the day after his return to Detroit. It’s hard to tag any one thing as a favorite although the MOTORCITYBLOG Lounge at The People’s Art Festival was pretty damn cool for a few years. Catching a Marco Polio and the New Vaccines show could top the list." HID- How do you think Detroit has changed in the last 10 years? For the better or worse? Kirk MCB- "I think the most noticeable change is a more positive attitude towards investing in Detroit. Obviously there are plenty of obstacles, but I like the changes that lie ahead and feel Detroit has a very bright future. 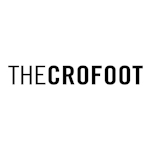 Many of our contributors were transplants from other cities or countries who came to town because they felt Detroit offered a unique metric of opportunities for them." 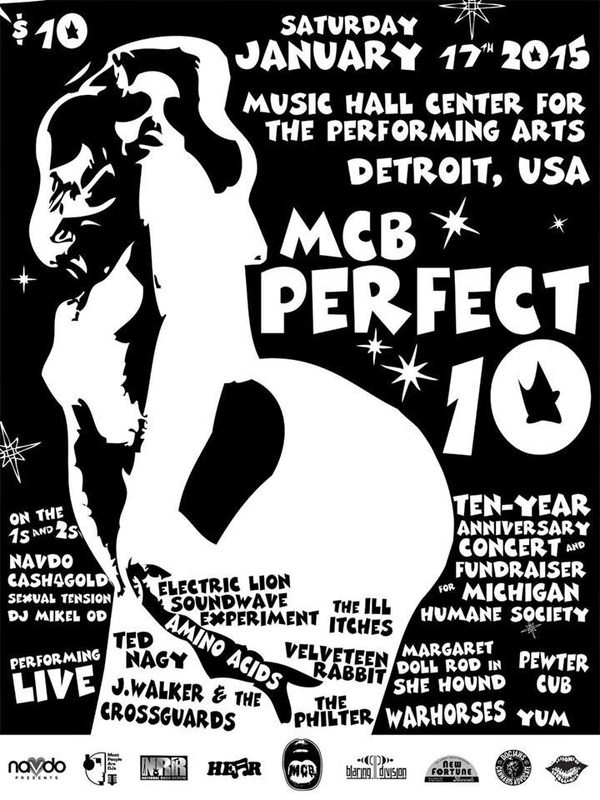 Kirk MCB- "The lineup for “Perfect 10” boasts an imperfect number of 11 bands, 4 DJs and a bellydance troupe. I wanted a blend of styles, experience and demeanor between the bands and I think this will be a great night of music at Music Hall. The bands will play alternate time slots between the Jazz Café and the Mezzanine Level with the DJs spinning wax in the VIP Room. It always surprises me how many people have never been to this venue....it’s one of the most fantastic places in the city with an acoustically perfect room in the Jazz Café that can brag to have had some of the greatest jazz musicians grace it’s stage over the years." HID- What charity are you raising funds for and why? Kirk MCB- "In another life I spent an enormous amount of my time dedicated to the rescue and rehabilitation of animals. As things changed for me I was no longer able to contribute the way I did for nearly a decade so I wanted to help the Michigan Humane Society with our anniversary shows. They are raising the funds to build a new facility in Detroit and I encourage everyone who reads this to donate as much as you can directly to MHS. Here is the link - www.michiganhumane.org/MCB." HID- What is the difference between buying a regular ticket and a VIP ticket to the event? Kirk MCB- "VIP ticket purchase gets a copy of custom screened poster and access to swank DJ area." HID- Anything else that you want our readers to know? Kirk MCB- "MOTORCITYBLOG is one word ALL CAPS. If you would like to contribute to MCB please contact Chris Vertigo – chris@blaringdivision.com." We also have a pair of tickets to giveaway to the show courtesy of the team over at MCB. If you would like to enter to win those tickets, please email your full name to hipindetroit@gmail.com with MCB in the subject. We will draw a winner a few days before the show and send them details on how to claim their prize. We truly appreciate all the love and support that MCB has given us over the years and we are more than happy to throw a little love back at some talented and amazing people. Cheers to another 10 years!